Midwest Institute’s accredited programs offer prospective students a wide array of skills training, hands-on learning, and academics in order to successfully graduate and find a job in your new industry. Take advantage of the education, exciting challenges, and new opportunities for personal growth and financial stability that a career in one of the most in-demand industries will offer you. When coming from the south and east, take I-270 north to I-70 west (or follow I-70 west through St. Louis) to exit 231B, the Earth City Expressway (SR 141). Follow the Earth City Expressway to Shoreline Drive and take a left. Follow Shoreline to the campus at 4260 Shoreline Dr. When coming from the west, take I-70 east. Take exit 231B to Earth City Expressway (SR 141) and follow the expressway to Shoreline Drive. Take a left on Shoreline Drive and follow the road around a long curve to 4260 Shoreline Drive. When coming from the north, find a route to I-70 east and continue to exit 231B, the Earth City Expressway (SR 141). Follow the Earth City Expressway north to Shoreline Drive. Take a left on Shoreline Drive and follow it around to the North Campus at 4260 Shoreline Drive. Career colleges such as Midwest Institute, however, offer several significant advantages over traditional colleges. First, Midwest Institute offers industry-accredited programs for many of the most in-demand careers, such as dental assisting, medical assisting, veterinary technician, surgical technician, pharmacy technician, and more. Second, the shorter timeframe from start to certification is generally less than two years. Third, because of the shorter timespan to get certified at Midwest, costs will be far less for students (you may also be eligible for financial aid, which can reduce or even eliminate personal tuition costs). And finally, Midwest Institute offers job placement assistance for all graduates. While we cannot guarantee employment, Midwest Institute will continue to assist you after you graduate and in the future if you are in search of employment again. 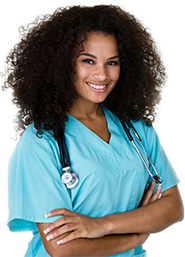 Job opportunities continue to grow in the field of medicine, and you will have the skills necessary to begin work in the growing and in-demand field of health care.